Creating this bee snack for students is a great addition to a unit on bugs or a summer recipe to send home to families. Note that the recipe uses peanut butter. Always follow the guidelines for your school district’s policy on peanut-based products in the classroom. Measure the peanut butter, butter, and sugar. Place into a large mixing bowl. Stir the mixture and give each student a chunk of it. Have the students roll the chunk in to an oval shape to form the bumblebee’s body. Melt the chocolate kisses or Hershey bars in a microwave safe bowl. Pour a little chocolate in Ziploc snack bags, one per student. Have the student cut the corner of the bag to squeeze the chocolate out. Have the student squeeze some black lines on the oval shape to create a brown, black, brown, black pattern (as the dough is brown). These are the bumblebee’s stripes. Place two chocolate chips on the top of the face for the eyes. 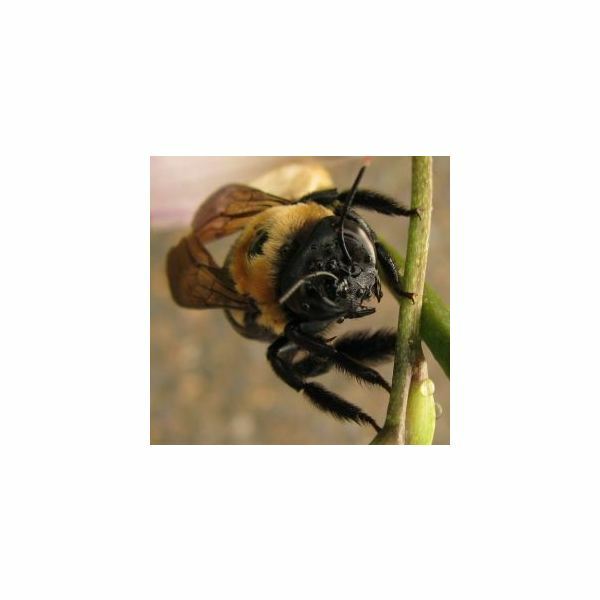 Cut a yellow jelly bean in half and place one half on each side of the bumblebee’s body. These are the wings. They should be sticking up. Cut two small black strands of licorice and stick them in the top of the bumblebee’s head. These are the bumblebee’s antenna. *Note: It is important to have a complete list of any student’s food allergies before making this recipe. Send home a note to parents asking them for permission for their child to participate in this snack.